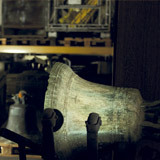 Established in 1868 to install tower clocks, BODET is renowned for the quality of its products and services. It now boasts a staff of 760 passionate individuals ready to share their expertise in time measurement and management. 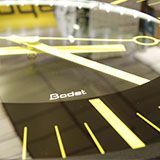 BODET has become a European leader in time measurement and management through its four core business. HRIS, Time and Attendance and Access Control. First timekeeping displays and scoreboards. Start of industrial clock activity with digital flap clocks shipped to over 40 countries. Launch of Time and Attendance management with the development of the first Time and Attendance software on a microcomputer. ISO 9001 certification for the entire company. Creation of the Bodet Software division focusing on Time and Attendance management and Access Control. ISO 9001:2000 certification for the entire company. Bodet obtains ISO 14001 certification for environmental performance. Launch of Kelio HRIS product. Bodet Software launches the Kelio Visio X7, an innovative communicating terminal and winner of a Red Dot Design Award. staff in France and abroad. countries through a wide network of distributors and agents. Our organisation, has been ISO 9001 certified since 1997, and is committed to continuous improvement, guaranteeing a high level of customer satisfaction. Innovation is in our company's DNA, and has always been the driving force behind our growth. Every year we invest over 10% of our turnover in R&D across all the group's activities. Our Bodet SA production facility and all of our Bodet Software sites are ISO 14001 certified, since 2011 and 2014 respectively. In a highly competitive global market, we must be able to offer our products and services to our customers at competitive prices. We are responsive to our customers's need, and providing them with a prompt technical and sales support. We now distribute our products in over 110 countries, through our five subsidiaries and our network of around 300 distributors. 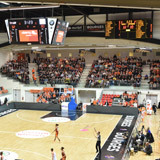 The Group head office is in the town of Cholet and the factory is based in Trémentines in the Maine-et-Loire region of France, around 50 minutes from Nantes. Bodet offices in France (Paris) and internationally in the United Kingdom, Belgium, Netherlands, Switzerland and Spain. Our wide network of distributors gives us a presence on all continents and means we can ship to many countries.